I am a huge fan of all Asian cuisine, from Chinese Dim Sum to Japanese sushi to Indian curry, there aren’t many Asian cuisines or dishes that I don’t gobble down with absolute enthusiasm. Is there anything better than Pad Thai or Cantonese fried rice? Or how about fresh Vietnamese spring rolls on a balmy summer’s day or a steaming bow of Pho on a cold winter’s night? I’ve been fortunate enough to travel and eat amazing meals and experience some of the finest restaurants in cities such as San Francisco, New York and Paris. However, easily one of the most delicious and memorable meals of my life was at an absolute hole-in-the-wall Schezuan restaurant in Queens: not the most glamorous locale. But the food was delicious and authentic and positively unforgettable. Living in San Francisco for 5 years, where there is a rather sizable Asian-American population, I had a whole plethora of Asian restaurants at my finger tips. You want Burmese? Sure. How about Hunan? Why not. Any type of Asian cuisine you could imagine, no matter how specific or what the region, there was a restaurant somewhere in the city to cure your craving. And then I moved to France. Talk about quitting cold turkey. While I could ramble on for days about the glories of French cuisine (and I do, and you read it for some reason…) sometimes you just want something different! And what I’ve been wanting lately is Asian food, in any form! France is not big on “ethnic cuisine”. This may be changing in a bigger city like Paris, Rennes, however, is sadly behind the times. While you can choose from about 6 different crêperies on one single street, Asian restaurants are rather thin on the ground here. The few Chinese restaurants I’ve found are dismal and over-priced, and the sushi prices are astronomical. I have found one Tibetan place that is great, but it’s not enough I tell you! So, I recently took matters into my own hands. I hunted out a huge, gorgeous specimen of an Asian market (where I have dropped far too many euros now…), I stocked up on ingredients and then I hosted an Asian potluck. 7 guests came, all with a different Asian dish in hand. Unfortunately, instead of quelling my mounting cravings, tasting all of that sushi, curry, pho and peanut sauce just made me ever more crack-addled and desperate for more, more, more! I am feeling a little bit better about things now that my belly’s been full of Indian food the past 24-hours. Everything turned out so beautifully, and it was all so simple to make. 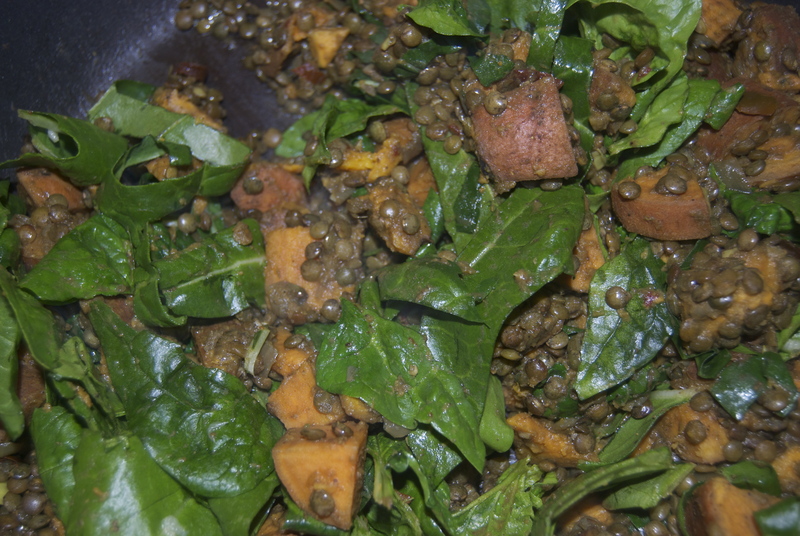 The chana masala was unctuous and spicy, and the curried lentils with sweet potatoes were balanced, hearty and subtle. 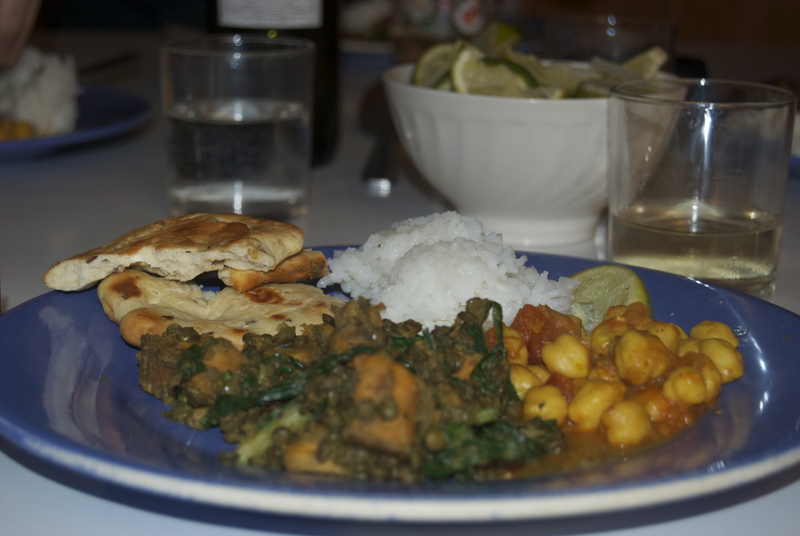 However, the unequivocal hit of the night was the homemade naan bread: everyone was so impressed by it. I’m not sure why people are so scared of making their own doughs. Nothing could be simpler really. So next time you feel intimidated by a dough, just take a deep breath and dive in, because I promise you will be surprised by how easy it is. Not to mention homemade doughs taste sooooo much better than anything pre-made. In a large bowl, dissolve yeast in warm water. Let stand about 10 minutes, until frothy ontop. Stir in milk, egg, sugar and salt. Slowly incorporate flour until a soft dough has formed (no need for any utensils here besides your hands!). Knead the dough for 6 to 8 minutes on a lightly floured surface, or until smooth. 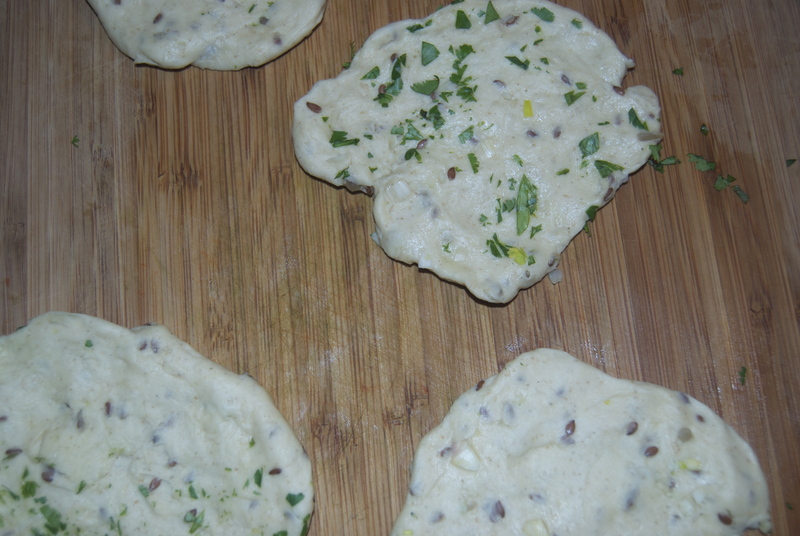 Place dough in a well oiled bowl, cover with a damp cloth, and set aside to rise. Let itrise 1 hour, until the dough has doubled in volume. During the second rising, preheat oven to 400 degrees. 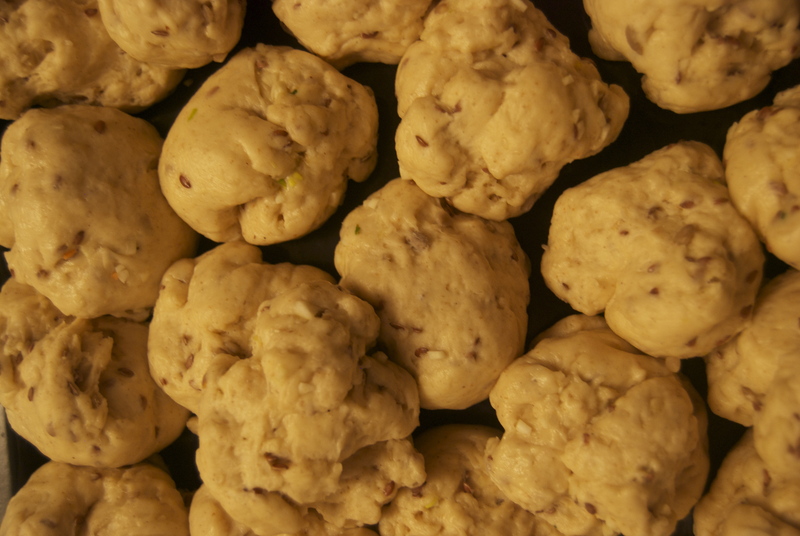 Roll the balls of dough out into thin circles. Brush with melted oil and sprinkle with parsley. 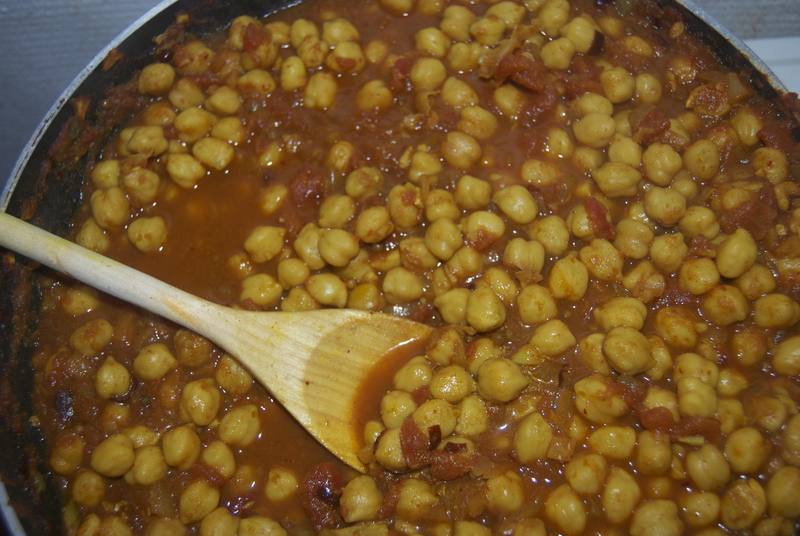 Place on a cookie sheet lined with aluminum foil and cook for 2 to 3 minutes, or until the naan is puffy and lightly browned. 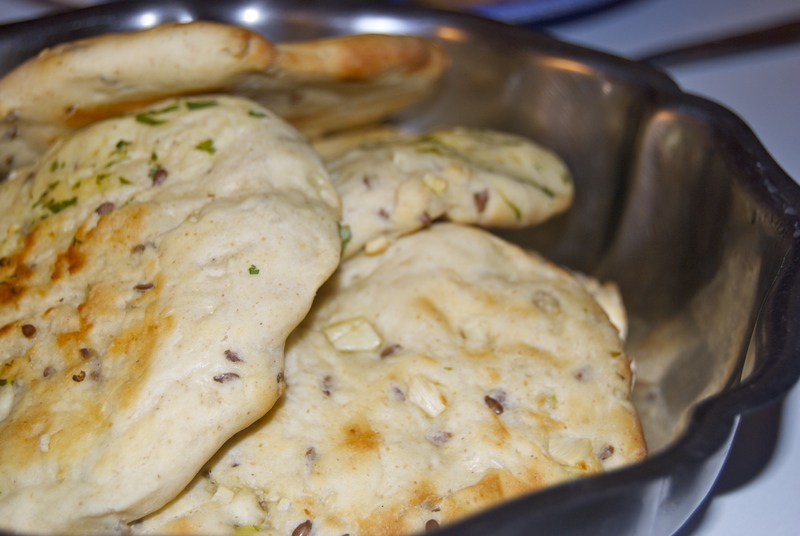 Turn the naan over and brush the uncooked side with butter, and continue cooking until browned, another 2 to 4 minutes. Remove from oven, and continue the process until all the naan has been prepared. So, I hope you’ve enjoyed a little taste of India in France. Stay tuned for more recipes from the Asian invasion that has taken hold in my kitchen. Next up, the perfect antidote to winter my vegetarian pho! this seriously looks so bomb. Make this for me please.